Joe's 3D Workbench has been a wonderful home for me for a long time. But like Joe's Makerbot before it, I've outgrown it. Fortunatly the new site, www.3dpprofessor.com contains an archive of all my blog posts going back to the beginning, and will host all my new content going forward, including some big changes that I'm very excited about reveling, just as soon as they're ready. 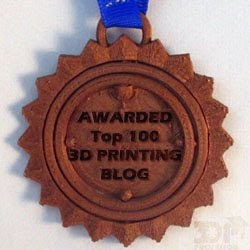 So point your RSS feeds and email updates to https://www.3dpprofessor.com/ for all future content from me, and let's make something cool!